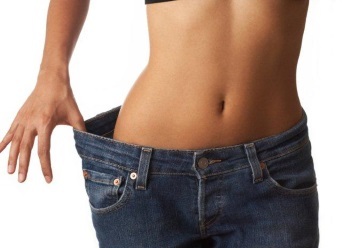 Imagine yourself being able to reach your goal weight with ease!Hypnotherapy can help with weight loss in many ways. The reason hypnosis is such a powerful tool for weight loss is its potential to help you build new healthy habits and ways of thinking. Dieting and re-educating your subconscious mind need to go together to really be successful. With hypnosis you can loose weight while you build your self image at the same time. Sometimes emotional and psychological blocks can sabotage the best attempts to lose weight. Some people struggle with depression and think that they can fill that hole with eating; others lack the motivation to exercise. Some people eat too fast or don’t understand nutrition and have no idea what they should be eating to lose weight. Losing weight is not easy. Most people who have tried “diets” know that they really don’t work. Diets are based on restriction and control. It takes a lot of work and willpower to stick to a diet. That’s where hypnosis comes in. The therapist not only teaches you what to eat and what not to eat but they give you the motivation you need to begin a successful weight loss program. Once you have made up your mind to lose weight, you should make that commitment and go into it with a positive attitude. Hypnotic suggestions work with your subconscious mind to re-frame the way you think about the obstacles that stand between you and your thin, beautiful body. - Eat earlier in the day!Dinner should be eaten as early as possible, preferably at least three hours before bedtime. - Snack frequently! Snacking prevents you from becoming too hungry. - Do some type of aerobic exercise on a daily basis (preferably in the morning)! - Tone your muscles with weight training three days per week. It builds your metabolism! - Avoid alcohol! Alcohol depresses your metabolism and stimulates your appetite. - Drink lots and lots of water. Your metabolism needs plenty water to function properly.